Many thanks to all those folks who thought our photos worthy of publication. 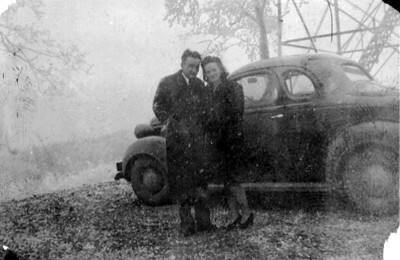 in the late 1930s. The tower is located on a mountain above Brushy Mountain State Prison, James Earl Ray's home away from home for so many years. This photo is published here. 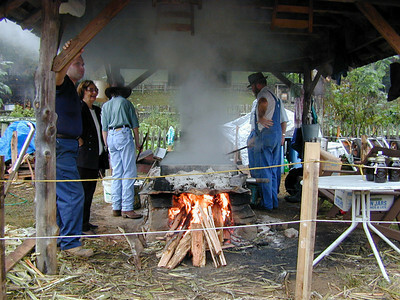 The Guenther Family of Muddy Pond, Tennessee, has displayed the method for making sorghum syrup at the Fall Homecoming for many years. Here is a short segment on a recent episode of Tennessee Crossroads about the Guenther family's sorghum syrup. This photo has been published here. 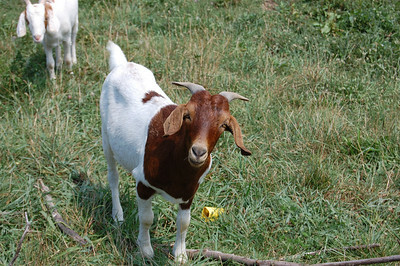 I am flattered that my goat photos have been published here ( http://www.nowpublic.com/world/goats-slip-past-security-fence ) . 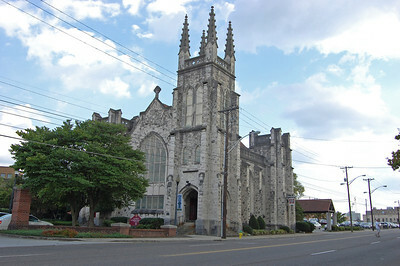 St. John's Lutheran Church ( http://en.wikipedia.org/wiki/St._John's_Lutheran_Church,_Knoxville,_Tennessee ) at 344 Broadway NW (Emory Place) in Knoxville, Tennessee, is on the National Register of Historic Places. The sanctuary was constructed in 1913 in the Gothic Revival style. It sits directly across Broadway from the entrance to Old Gray Cemetery. 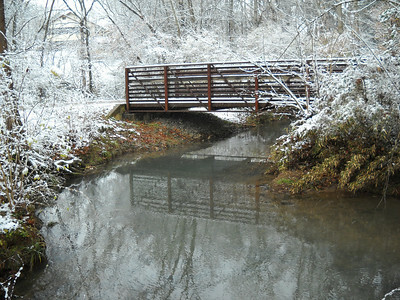 This photo has been published here ( http://wiki.worldflicks.org/knoxville,_tennessee.html#coords=(35.970218,-83.929367)&z=12 ) . 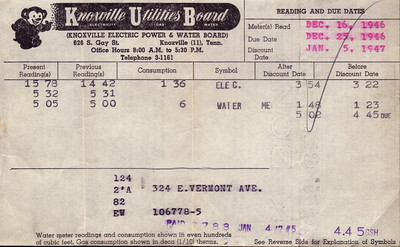 And you think your electric bill is enormous. I came across this in Mama's old cedar chest full of photos and keepsakes. Rottweiler puppies are so sweet. I was looking around at Barnes and Noble today when I came across A Portrait of the Dog by Andrew Morris. I picked it up and thumbed through it. Then of course I looked in the index for Rottweiler. 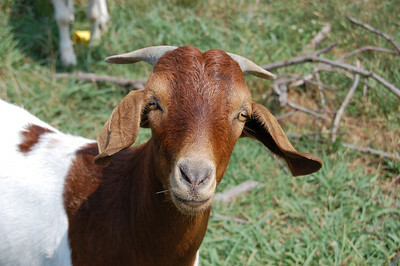 There on page 218, I saw Baby Gino looking back at me. 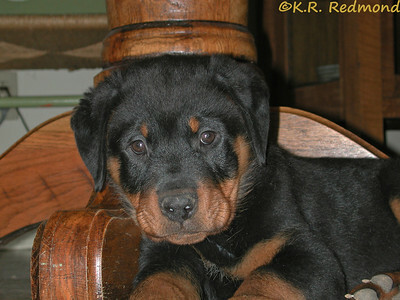 Of all the Flickr pictures of Rottie puppies in the world, Mr. Morris chose my little boy. I'm biased but I've said all along that he's more handsome than any of the pictures I've seen on the Rottweiler calendars I used to buy. Thank you sir for this honor. I'm not sure I trust anyone who parts his hair in the middle. 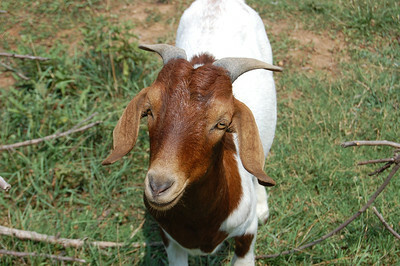 Dennis Fox at the Fruit and Berry Patch in Halls has a petting zoo, sort of. 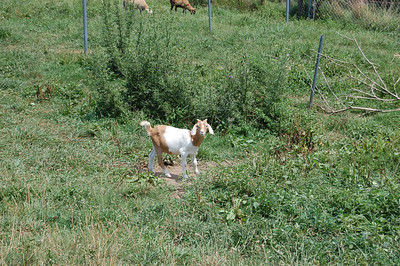 I am flattered that my goat photos have been published here ( http://www.nowpublic.com/world/goats-slip-past-security-fence ) . 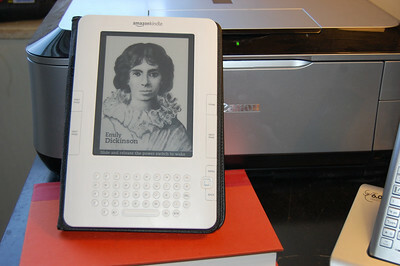 I'm learning to write for the Kindle. I started by putting the text into an HTML document using my ancient copy of Adobe Pagemill ( http://en.wikipedia.org/wiki/Adobe_PageMill ) . Add an anchor before each new chapter and number it. To insert images, I first size portraits to no more than 600 pixels wide by 800 pixels high. 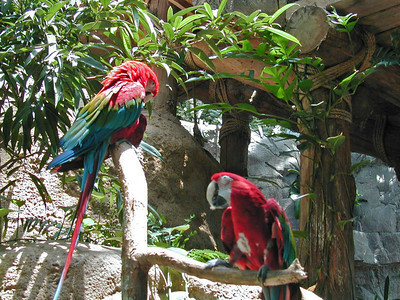 Make sure the images are in the same hard drive folder as the HTML file. Now write your table of contents and go back through the text to add proper links for all the chapter and image anchors. 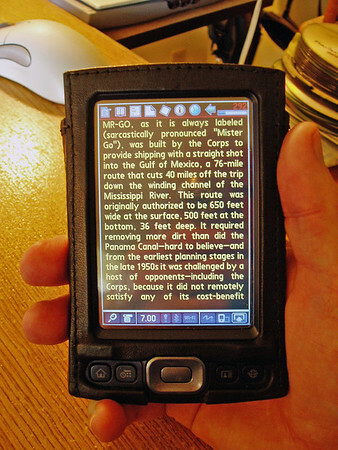 Open your free copy of Calibre ( http://calibre.kovidgoyal.net/ ) and convert the resulting HTML document to a MOBI file, then transfer it to the Kindle using the USB cable. Happy reading! This photo has been published here ( http://ideonexus.com/2009/05/ ) . 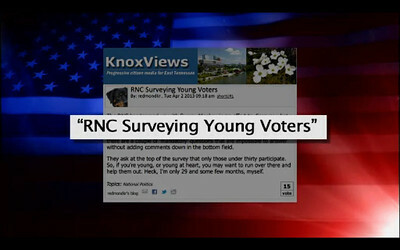 Last week I wrote a short article for our local blog, KnoxViews, about the Republican National Committee's ridiculous survey aimed at young voters and asking them, in effect, what costume they will have to don in order to get their votes. Well, last night Comedy Central's Colbert Report featured this screen grab of my article to illustrate their own poke at the survey. I was thrilled; Lulu not so much. 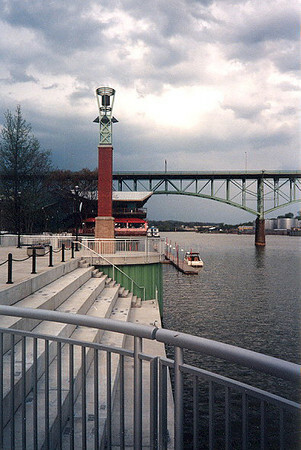 In the background is the Gay Street Bridge, built in 1898 in Knoxville,Tennessee. 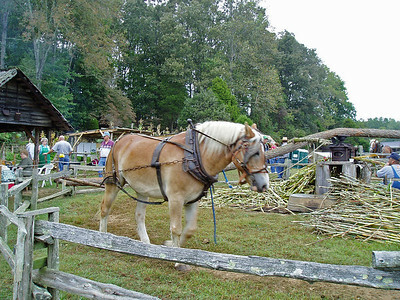 The Guenther Family of Muddy Pond, Tennessee, has displayed the method for making sorghum syrup at the Fall Homecoming for many years. Here ( http://www.youtube.com/watch?v=1q87lUGW-G0 ) is a short segment on a recent episode of Tennessee Crossroads about the Guenther family's sorghum syrup. My mother never threw anything away. I am flattered that this image has been selected to appear in the Schmap digital travel guide for New Orleans. 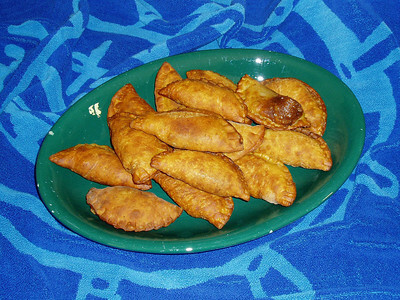 Alton Brown did an episode of "Good Eats" ( http://www.foodnetwork.com/good-eats/index.html ) that featured fried pies. Inspired with his efforts, I tried my hand at these apple pocket pies. They are really quite easy and soooo good. I'm happy to announce that this photo was published by the Canadian Council of the Blind ( http://www.ccbnational.net/Wuzzy/ ) in their new cookbook which includes two recipes from each country in the world. Order your copy of Kitchens of the World here ( http://www.ccbnational.net/Wuzzy/index.php/fundraising-opportunities/kitchens-of-the-world ) Congratulations for a wonderful job! I took Lulu with me as she needs to learn the importance of the right (and duty) to vote. She would make a far better State Senator than Stacey the Clown. 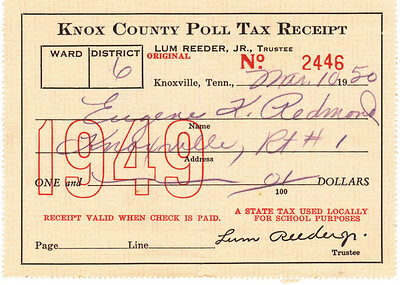 We expect Bill Haslam to be the next governor. Not my first choice, but we could definitely do worse. We got back home just before the monsoon set in. 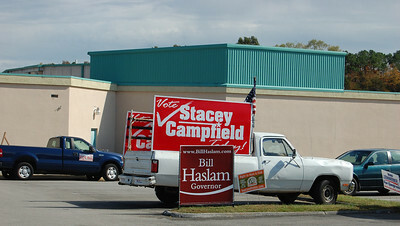 This photo has been published here ( http://storify.com/jacklail/election-night-2010 ) . 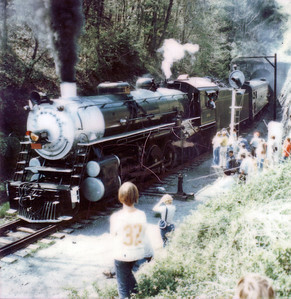 My favorite lady 'The Green Machine' pulls her train on a railfan excursion from Knoxville to Middlesboro, KY in the mid seventies. It was the first time a passenger train had been on this route in 33 years. 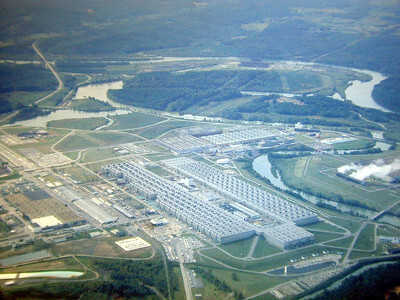 This portal is in Tennessee, the north portal is in Kentucky, and the center of the tunnel is 'under' Virginia. Apologies for the quality. You can't make a silk purse out of a Polaroid SX-70 print. This photo is published here. 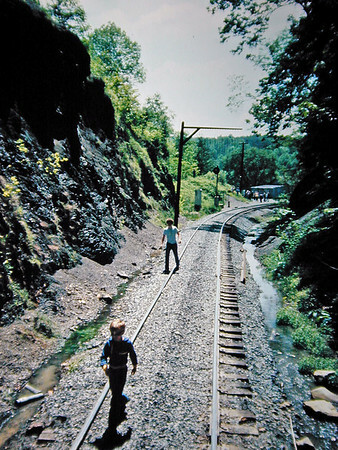 Taken from the rear platform of the observation car Lookout Mountain as she departs for Middlesborough, Kentucky, at the northern end of the tunnel. The South portal of this tunnel is in Tennessee, the North portal is in Kentucky. In the center, the train is 'under' Virginia. This was the first time a passenger train had been on these rails in over thirty years. The boys are retrieving pennies they had placed on the rails. This photo is published here. 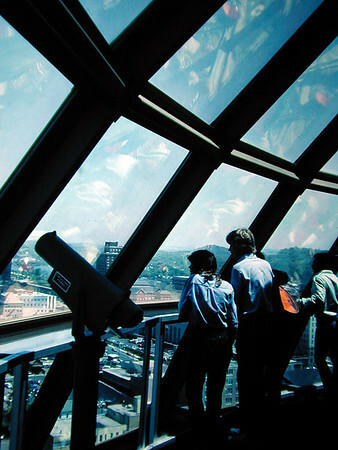 from an Ektachrome transparency. A wonderful way to settle down with a good book. The book is The Storm: What Went Wrong and Why During Hurricane Katrina--the Inside Story from One Louisiana Scientist ( http://www.amazon.com/The-Storm-Hurricane-Katrina---ebook/dp/B000Q9J0PQ/ref=sr_1_1?s=digital-text&ie=UTF8&qid=1350614423&sr=1-1&keywords=The+Storm:+What+Went+Wrong+and+Why+During+Hurricane+Katrina--the+Inside+Story+from+One+Louisiana+Scientist ) by Ivor van Heerden. This is a Palm TX. Unfortunately (or not) it developed a problem with its touch screen. Touching here would be interpreted as a touch over there and the calibration could never be corrected. Fortunately, this led me to buy my first iPod Touch so the TX is now in the bottom of the junk drawer. 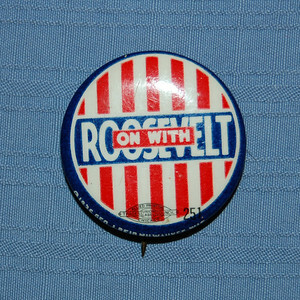 This 1936 campaign button belonged to my uncle who was a member of the Civilian Conservation Corps. It is a bit less than one inch in diameter.